The 31st annual Hayward Lakes Chapter of Muskies Inc. catch-and-release tournament drew 504 avid anglers last Friday through Sunday, all of whom helped raise funds for musky stocking and other fishing-related projects. This year’s tourney participants came from 11 states as far away as South Carolina, California and Colorado and included 17 anglers 16 years or younger. Thomas Bruemmer of La Crosse won the tournament grand drawing prize of a 17-foot 2008 Lund Pro Guide boat with a 50-hp Mercury outboard motor and EZ Loader trailer from Hayward Power Sports. 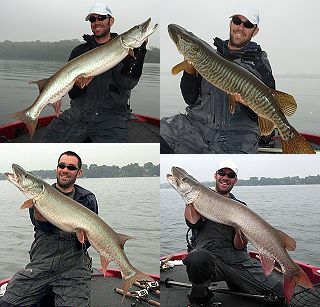 The Hayward Lakes Chapter of Muskies Inc. has 175 members. The national organization has 6,000 members. Over the past 31 years, the Hayward Lakes Chapter has raised more than $300,000, of which $220,000 was spent to purchase 27,600 extended-growth muskies which were stocked in local lakes. Other chapter grantees include the National Fresh Water Fishing Hall of Fame, Fishing Has No Boundaries, a scholarship fund, and a variety of research and other fishing-related projects. The chapter puts on a Kids Fishing Day every August. In addition to major sponsor Hayward Power Sports, Hayward Bait and Tackle has been the primary helper for the fall tournament for many years. 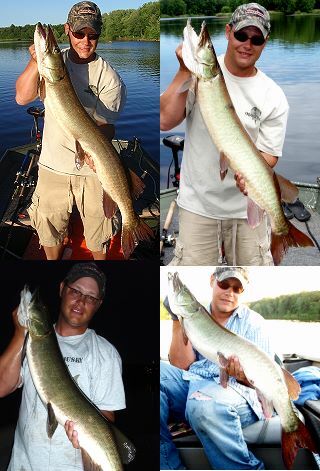 Every angler releasing a musky 34 inches or larger in the tourney receives a plaque.